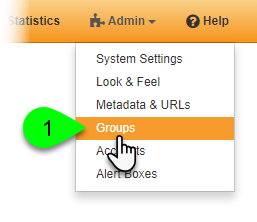 Custom code added to a group will be included on the group's homepage, as well as all guides assigned to the group. Find the group you want to customize and click on its Edit () icon in the Actions column. 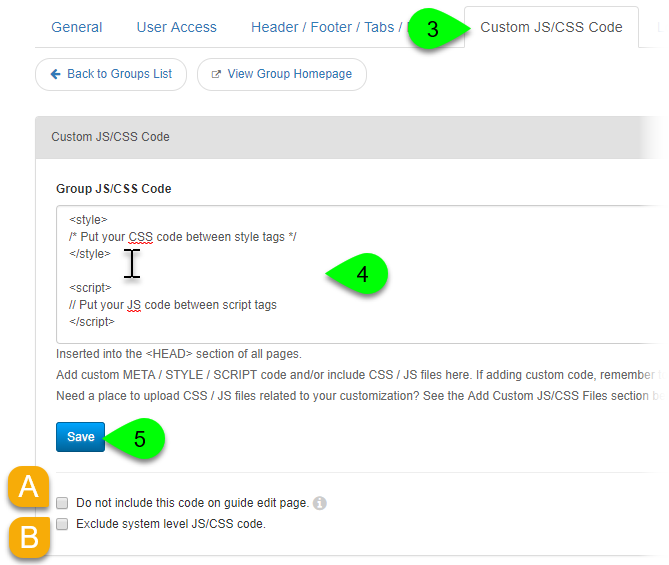 Click on the Custom JS/CSS Code tab.